Wright State’s undergraduate degree in psychology offers you a solid foundation in theory, research methodology, statistics, and scientific writing. There are also many opportunities for you to get involved in scientific research with our distinguished faculty members in our state-of-the-art research facilities. Our curriculum will have a special appeal if you wish to pursue a career in clinical psychology or counseling. An undergraduate psychology degree at Wright State is not in liberal arts but in Wright State’s College of Science and Mathematics, placing it alongside other scientific disciplines (physics, biological sciences, chemistry, etc.). Pursue a Bachelor of Arts (B.A.) or Bachelor of Science (B.S.) degree. If interested in the B.S., choose among three concentrations: industrial/organizational psychology, behavioral neuroscience, and cognition and perception. When you complete your undergraduate degree, you will have the opportunity to move on to highly competitive graduate school programs. 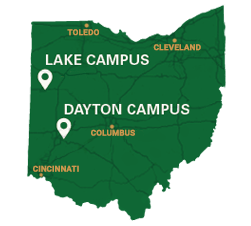 We strongly recommend you consider Wright State’s M.S. and Ph.D. programs in human factors and industrial/organizational psychology. Each program enriches the other. Your undergraduate studies will include specific courses that will help you succeed in your M.S. and Ph.D. studies. After completing your degree, you can consider career options in aerospace, healthcare, public and private sector businesses, military operations, and emergency operations. This M.S. program interfaces with, and is enriched by, Wright State’s undergraduate psychology program that precedes it and the Ph.D. program that follows it. Learn more about the Ph.D. program. Research by Tony Gibson, a Ph.D. psychology student, and Nathan Bowling, professor of psychology, will be published in the European Journal of Psychological Assessment.